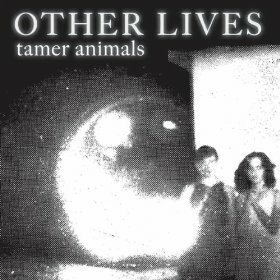 American indie folk/rock Other Lives will see their forthcoming album entitled "Tamer Animals" released May 27th via TBD Records/PIAS. Actually, this will be their third record, their very first album "Flight of the Flynns" in 2006 was released under the name Kunek. Whatever. I listened to "Tamer Animals" once and I'm pretty enthralled by it : the songs, the arrangement, the production, the very lush acoustic orchestration, very evocative and cinematic, big skies spaghetti western , heroism and melancholy, an epic record. The album is streaming down here, be my spook.